If you are looking for something special then Killingfields is the strain for you, this photogenic strain produces about 50% coloured buds whose leaves remain green which gives a beautiful contrast. 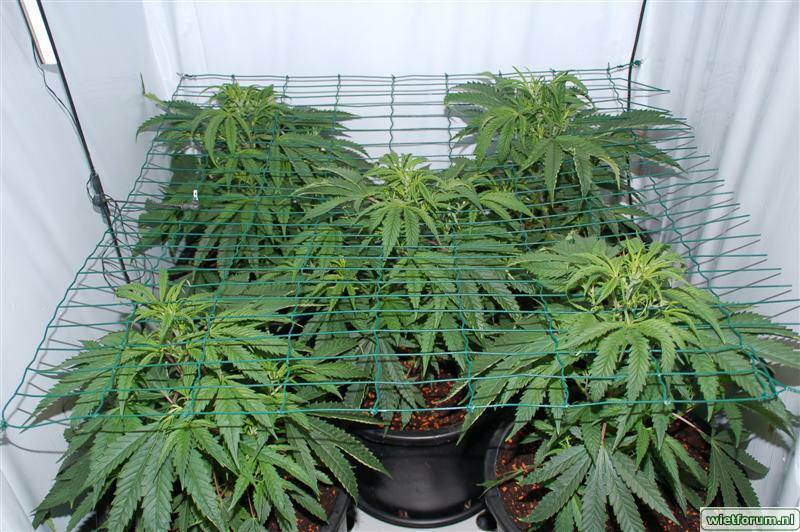 She is not difficult to grow but needs to be kept in check by means of bending or scrogging. Killingfields gives delicious sativa-like buds which tastes like ripe berries with a caramel undertone and flower shades, very complex. A pheno type means a certain type of plant of a species and in the Killingfields we deliberately selected and crossed to realize a higher number of different pheno types. This is because the different pheno types all have special qualities which we would regret if we wouldn’t find it again. This might be a bit inconvenient with flowering but a real treat for the true cognoscente since you would be able to grow different types of plants from one pack, all with their own advantages. If you are looking for that one in a million opportunity, then Killingfields is your winner! Wauw guys.. i had a head bud as big as a cola bottle.. I had the pink one .. got lucky i guess.. Taste was something new.. a hasj psychedelic high..
Wasent something to smoke day in day out.. But its one amazing alien kind of plant! I always wanted a plant that had 100% purple buds without cold temperatures. Purple leaves are pretty common. But I have a Killing Fields plant here that has buds which are deep, dark purple 100%. No green in the buds at all. It looks like it's from another planet. It's also covered in frost. My temps are in the low to mid 80's F during flower. It smells and tastes sweet and has a unique flavor that I can only call, "Killing Fields." Maybe a bit of grapefruit mixed with rosemary and sugar. Potency is good but it's not super strong. The bag appeal is so good though that many people will be shocked at their first sight of it and make a funny noise. It's a heavy feeder. It grows tall and lanky and needs to be staked. 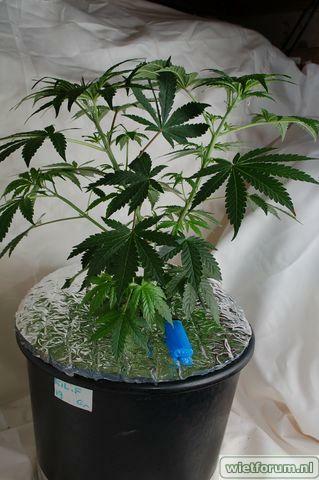 With manipulation (topping, scrog, etc) it can be controlled and the vigor will translate to nice yields. Amazing plant, 3 purple 2 green, all sweet, fruity and potent as hell. One of the purple plants was a bit of a runt (grower error) but she smells exactly like turkish delight so revegging for cuts in the hope I can do her justice. Thanks Sannie and crew for such a great strain. forgot to mention in my previous review. out of the five pack i got three very very very purple flowered plants. the green tasted like fruit candy but was also blown away by the purple on the three. i mean purple, no purple tinge, or purple in the right lighting, or you need a 10,000 ton ac unit to freeze the purple in...these babes were PURPLE even in my current summer HOT temp grow so if you want some purple in your stash jar get some Killing FIelds!!! One of the best conniseur strains I've grown! 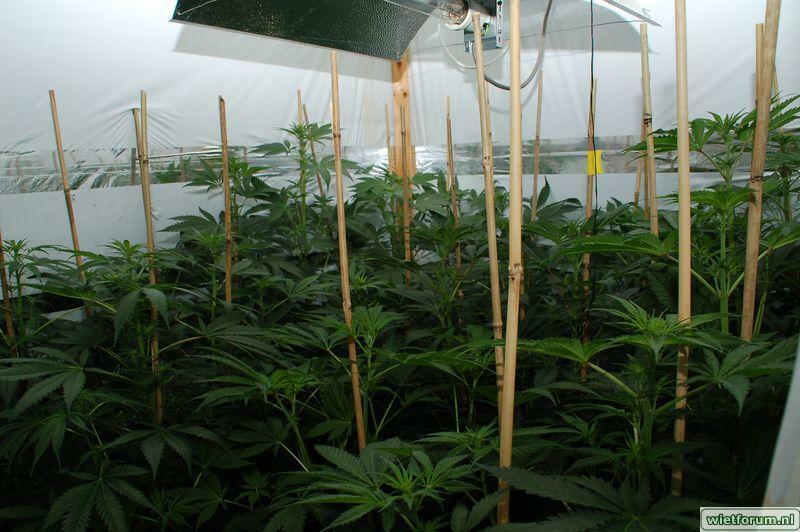 Not to mention probably one of the easiest plants to grow, especially for a sativa. Only flowered the deep purple pheno so far and the high is very... high! 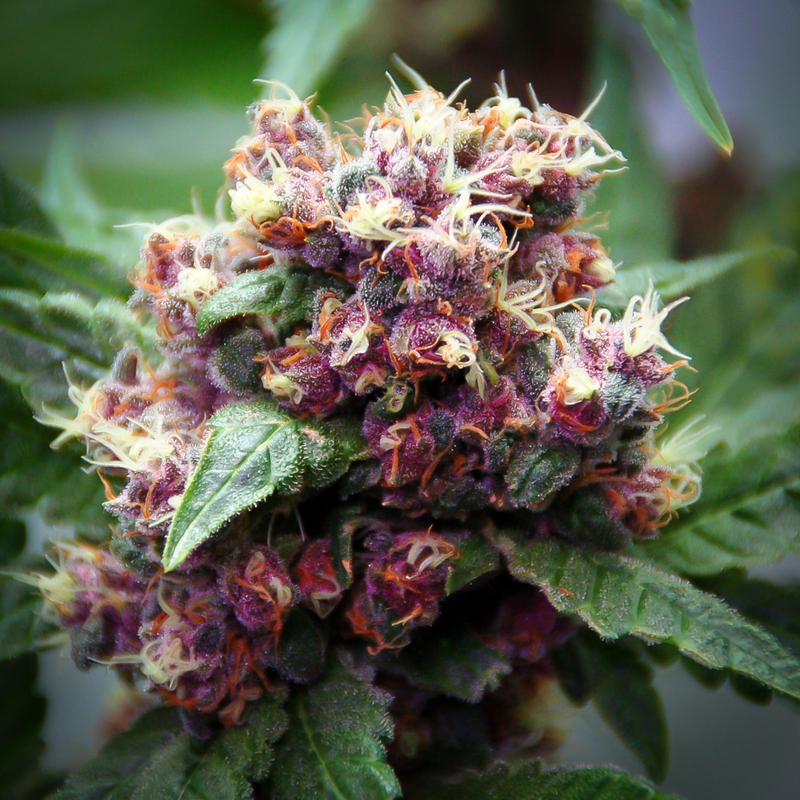 Tastiest purple taste you can find and her smell is extremely "loud" so odor control is highly recommended during flowering. Thanks Sannie! I started 20 KF F3 (reg.) got about 15 females. Some sativa dominant, some indica dominant. Indoor about 10-12 Weeks. Indica var. should be cut arround 9 Weeks. Nice introspective uphigh, as you somoke too much body stone kicks in. Very fast delivery! Only 4 days. Thank you so much! I'm looking forward to grow the seeds! Greetingz from Germany!